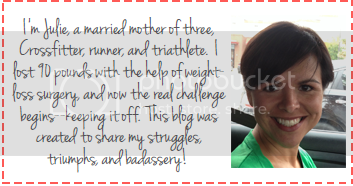 I had 5 major goals going into this triathlon. SWIM: Have a steady and strong swim, don’t stop at every buoy unless I have to pee, and if I panic, remind myself that it will pass and keep going. BIKE: Try not to go under 17 mph, and shift down to a low gear toward the end of the bike to save my legs for the run. RUN: Only stop at the water stations. TRANSITIONS: All business—no talking to volunteers and other athletes. Go in, get my crap, and get out. That’s it! TIME: Beat my time from my first Olympic at Kemah, which was 3:50:54. Race morning cold and uneventful. I arrived early and had my transition set up an hour before the start. This was great because it allowed me time to talk to other athletes, take pictures, drink my prerace beverage, and go to the restroom. My wave was set to start at 7:15 with a time-trial start, where the athletes jump in the water at 2-3 second intervals. This is nice because you’re not jumping in the water with a big group of people all at the same time. 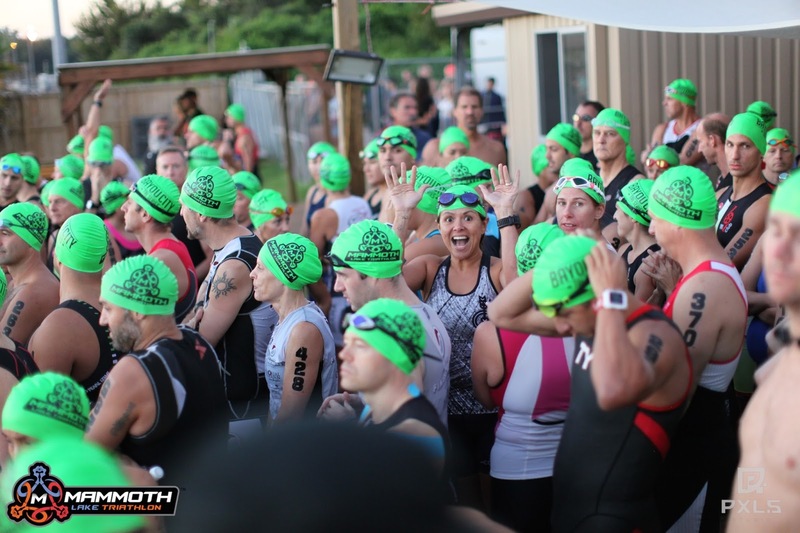 As I made my way over to the swim start, I began to get nervous. I did have time to take a picture right before I went down the dock. As I walked up to the timing mat, I saw the athletes before me diving in. I wish I knew how to dive. I started thinking, Should I dive in even though I don’t know how? What happens if I belly flop? By the time I knew it, I was up. I heard “1,2,3, go” and I jumped in feet first. Boring, I know. Note to self: learn how to dive! The water was warm, and even clean and clear. I could see my hands under the surface! So I started swimming and felt good. I saw the first buoy and realized that I’m not panicking, so I keep going. We were swimming toward the sun, so it was hard to sight. As I nearing the swim finish, BOOM, I got kicked hard in the chest by a lady doing the breast stroke. 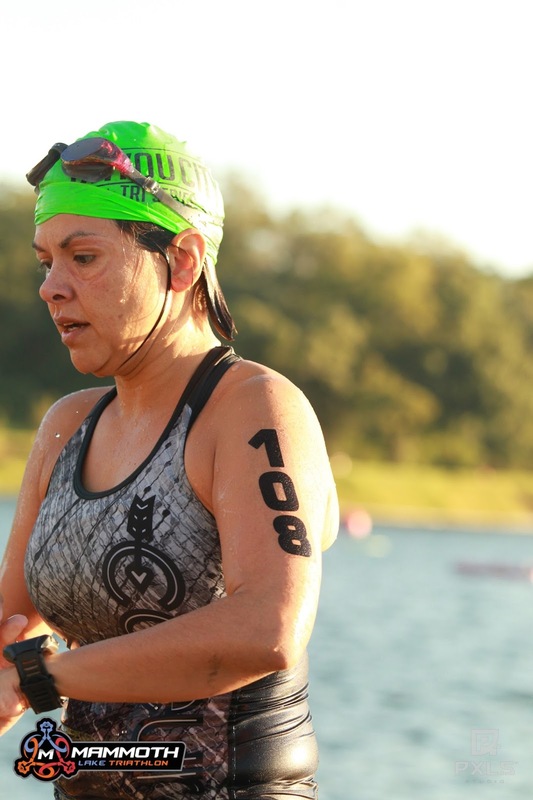 I started to dog-paddle for a bit to catch my breath and then I finished the swim. I got out of the water and looked down at my Garmin to check my time. I never turned it on! Crap, crap, crap!!! Here’s a picture of what it looks like when you realize you forgot to turn on your Garmin. As I ran into T1, I saw my friends, gave them high-fives, and kept going. 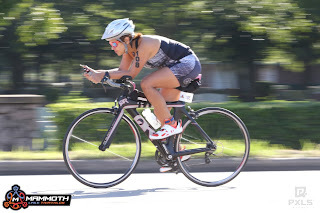 Remember, my transitions were all business for this race. I hydrate, dried off, and put on my shoes, helmet, and sunglasses. Then I decided to stuff a whole bar in mouth, thinking it was the right thing to do before my long ride. Big mistake. I’ll tell you why later. 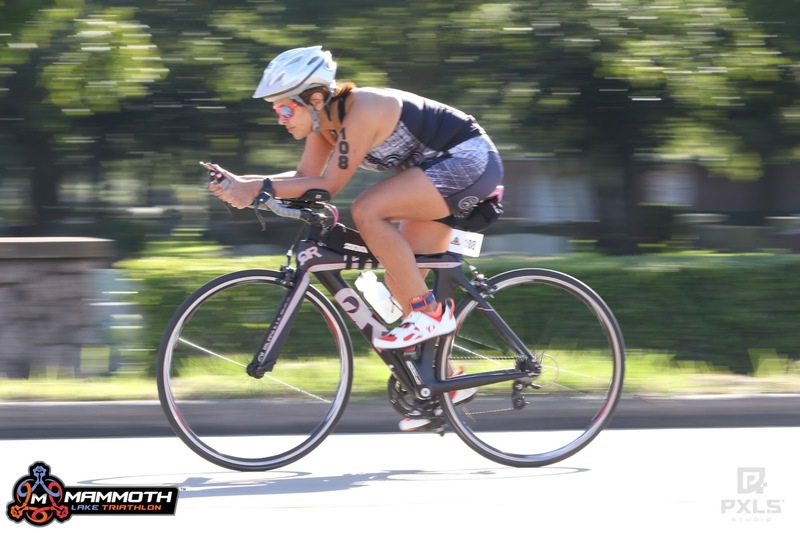 The bike is my favorite part of the tri, so I’m always excited to start pedaling. The bike route was 2 loops out and back with a 50-foot bridge that we had to cross 4 times. My ride was great overall, and I felt strong with my pace where I wanted it to be. But after I finished the first loop, my stomach started acting funky. Then I remembered that damn bar I stuffed in my face during T. It was just sitting in my stomach and causing a burning sensation. I started to drink water hoping that it would pass, but it didn’t. So my plan was to push through, and hopefully when I was off the bike and upright I’d feel better. As I was coming toward the end of the route, I lowered my gears to loosen my legs for the run, just like I planned. I got off my bike, rolled it into transition, and racked it. My stomach was not doing well. I made a mental note to put some Rolaids in my tri bag. I removed my glasses, helmet, and shoes and put on my running gear. I drank some more water and left T2. Again, all business. You know that feeling when you have to pass gas but you can’t? That’s how I felt for the entire run. At that point, my goal of only stopping at the water stations was not going to happen. So I started with 4:1 intervals and kept going. I stopped at a porta potty to try to take care of business but had no luck. Since my Garmin wasn’t working I didn’t know what my time was, and at that point I just wanted to finish. One of the nice things about the whole race was that, even though I wasn’t feeling great, I was grateful to still be racing. As I ran along I saw lots of my friends who’d already finished cheering me on. I also made some new friends who were struggling like me. I don’t remember their names, but they made those last 3 miles not seem so bad. 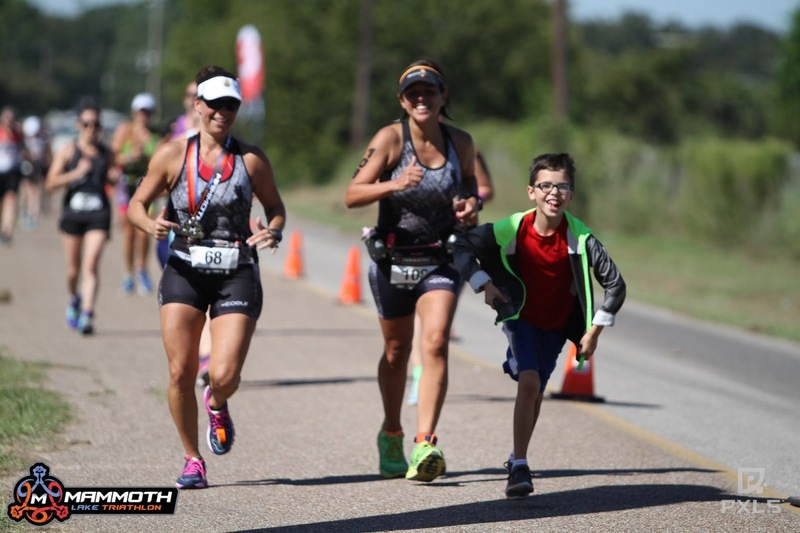 As I neared the end I saw my family, and my son Gus and good friend Melanie ran with me across the finish line. Overall this was an awesome race and a great way to end my 2015 tri season. I’ve made significant improvements in all my times, and I’m happy with that. Next tri up: Ironman 70.3 Texas in Galveston in April!